Unless otherwise specified, all pictures are GIF files. If you would like to see pictures of Ada-related people, please visit the Ada Rogues Gallery, featured in our Ada History section. Lady Augusta Ada Byron, Countess of Lovelace (1815-1852) (20 KB), daughter of Lord Byron (the poet who spent some time in a Swiss jail, in the Castle of Chillon not too far from Lausanne -- allright, he was just visiting... he carved his name in one of the dungeon pillars where prisoners had once been chained. Byron wrote his famous poem, "The Prisoner of Chillon," based on this experience). Lady Lovelace was the assistant and patron of Charles Babbage; she wrote programs for his "Analytical Engine." 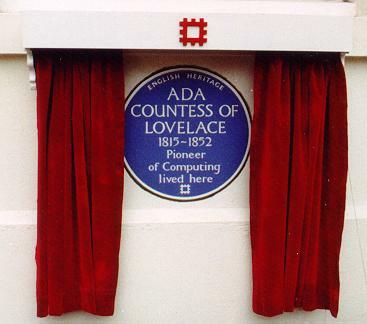 Another classic picture (11 KB): a portrait of Ada, Countess of Lovelace, acknowledged to be the world's first programmer, from the cover of John Barnes's book "Programming in Ada", 2nd edition; used with permission of Addison-Wesley Publishing Company (Mr. Simon Plumtree). The original art was adapted from the portrait of Ada at the offices of John Murray, the London publishing company. Ada lived here (64 KB) Unveiling of a plaque on the house in London, England in which Ada, Countess of Lovelace used to live. Rent and move! (JPEG, 29KB) A French company. Beware of the Ada Police! or: We don't need no steenkin' mandate! (51 KB) From a small city in south-central Oklahoma, known for its horse breeding. It's about 200 miles north of Dallas. There is a liquor store (560 KB) right on the highway in Ada, Alabama (a very small town just south of Montgomery). Have an Ada beer from Belgium! (127 KB) With its enormous variety of beers, Belgium had to have an Ada beer! Brewery De Smedt in Opwijk brews 2 kinds of Abbey d'Aulne, resp. 8 and 10 degrees strong. Cheers! Challenge: Who can find a picture of this Ada? 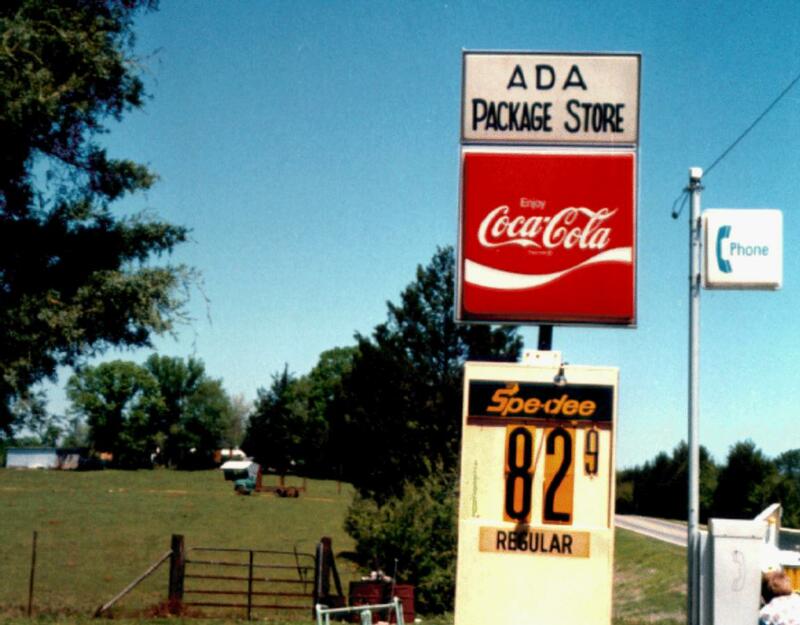 "... known as the Ada group. The manuscripts of this school do all seem to have been made for royal patrons, and use extremely lavish materials. One example is written in gold on purple parchment. The style of the earlier Ada manuscripts shows more Celtic influence ... but the figures are strongly Byzantine." Do you crave for more pictures? It's up to you to add to the gallery! Just email us your picture (preferably GIF or JPEG), or upload it by FTP to ftp://ftp.adahome.com/incoming, with a proposal for a suitable caption. As always, if it's copyrighted material, make sure you have permission to make an electronic version available on the network.